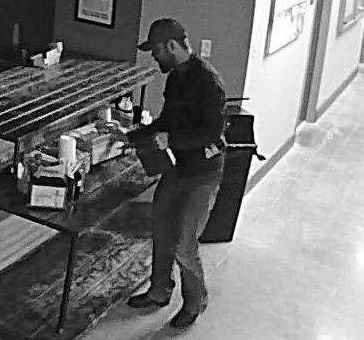 Surveillance footage shows the man entering Ironbridge Church just after 11:30 p.m. on Election Day after the location had been closed for polling, and upon finding a basket of Bibles, tearing pages out of them as he walked along. The man also broke an interior window to one of the church offices, spray-painted the walls, and left a trail of blood from the broken glass on his way back out the unlocked door. “This incident does not appear to be random,” the Chesterfield County Police Department said in a social media post on Wednesday. “Apparently, our electronic system did not work properly to relock one of the doors that was unlocked for the polling,” Dennis Green, who leads Ironbridge Church, told local television station WTVR. Nearby Chester Presbyterian Church was recently vandalized four times within an eight-day period, the outlet reported. A door had been smashed, lamps broken, and a flag belonging to the Boy Scouts was lit on fire. It is not yet known whether the two situations are connected. Galatians 5:19-23 also teaches, “Now the works of the flesh are manifest, which are these: adultery, fornication, uncleanness, lasciviousness, idolatry, witchcraft, hatred, variance, emulations, wrath, strife, seditions, heresies, envyings, murders, drunkenness, revellings, and such like; of the which I tell you before, as I have also told you in time past, that they which do such things shall not inherit the kingdom of God.